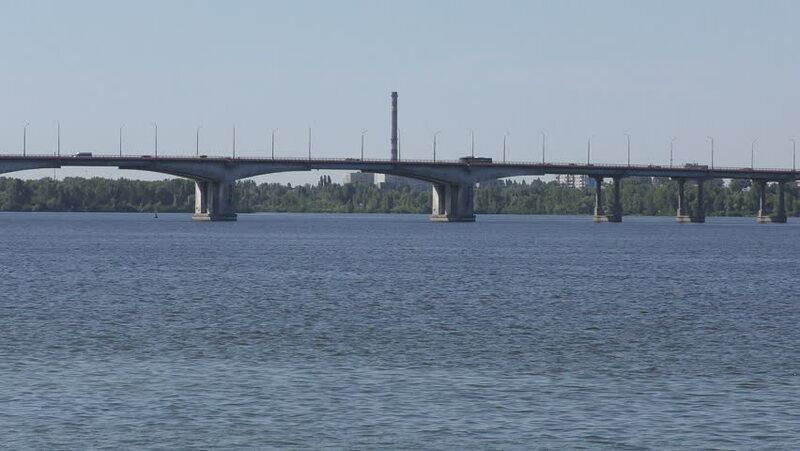 Bridge over the river, Dnieper. Flight to the side of the bridge. Sunset on the river. summer evening. 4k00:25Small fishing boat passing by bamboo bridge and motorbikes crossing it.